Covering a wide range of substances, including opium, cocaine, coffee, tobacco, kola, and betelnut, from prehistory to the present day, this new edition has been extensively updated, with an updated bibliography and two new chapters on cannabis and khat. 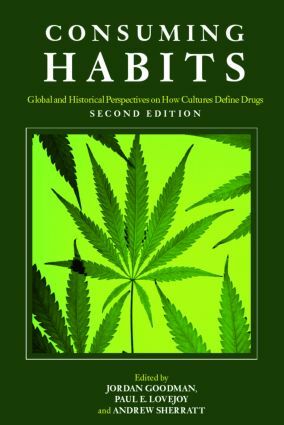 Consuming Habits is the perfect companion for all those interested in how different cultures have defined drugs across the ages. Psychoactive substances have been central to the formation of civilizations, the definition of cultural identities, and the growth of the world economy. The labelling of these substances as 'legal' or 'illegal' has diverted attention away from understanding their important cultural and historical role. This collection explores the rich analytical category of psychoactive substances from challenging historical and anthropological perspectives.